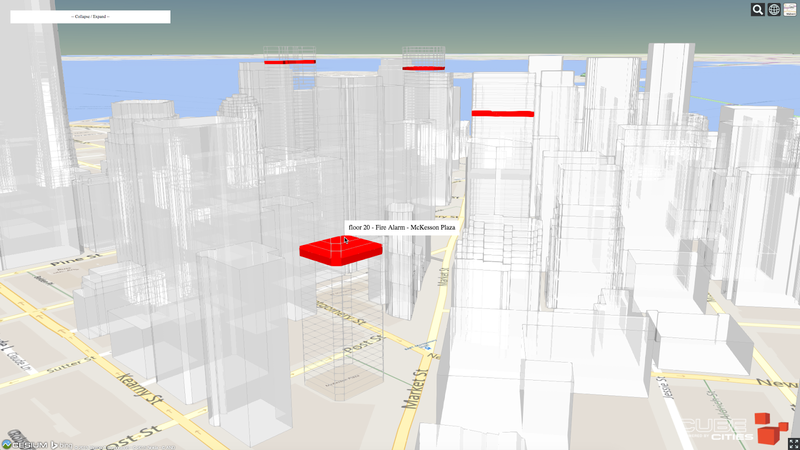 We've been paying attention to the 3D city visualizations found in recent Hollywood movies. They can be described as immersive, wireframe building models that illustrate data across large urban areas. Military or emergency services actors typically utilize these wireframe city models to gain awareness of local activity in tactical scenarios. Floor-level building visualizations are found in these visualizations, used as the best way of understanding cities in these sci-fi visuals. Color choices are monotone and clean, simplistic geometric models populate the map to provide for transparency and insight. Examples from the movies Transformers 3 and Hunger Games: Mockingjay are seen below. When considering the software options available today to recreate the sophisticated interfaces we see in cinema, there are few off-the-shelf products. It would be very difficult to deliver such high quality, real time city visualization systems without significant investment in proprietary technologies. We're imagining these kind of visualization concepts as we build applications at Cube Cities. 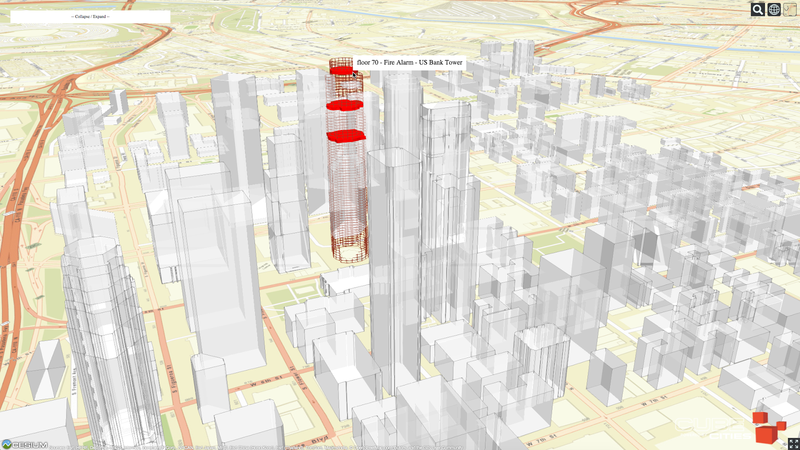 Below are examples of the Market Street corridor in San Francisco and the US Bank Tower in downtown Los Angeles, visualized with our wireframe styles calibrated for tactical location finding.